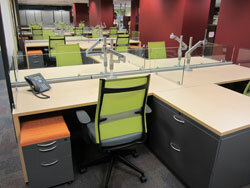 THE LEADER IN SUSTAINABLE OFFICE FURNITURE SOLUTIONS. As a nationally recognized leader in green remanufacturing and expert in sustainable office solutions, Davies provides innovative offerings designed to make the most of a company’s existing assets and future investments. From remanufactured brand name furniture, to asset recovery and re-deployment services, to exciting new value-creation programs, we give you more reasons to rethink your approach to office furniture. What’s more, our team of experts is always on hand to understand your business goals, and offer experienced guidance to specify a workspace that satisfies your unique requirements. Since 1948, Davies has partnered with Fortune 500 companies to deliver greater value and flexibility in office furniture solutions. 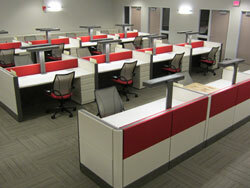 Today we’re the country’s largest independent remanufacturer—and ready to assist you in furnishing a smarter workspace. 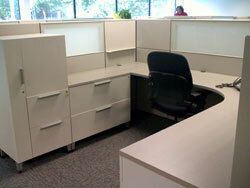 RETHINK YOUR APPROACH TO OFFICE FURNITURE. It’s not about buying new anymore. It’s about making smart use of existing assets. And as a leading proponent of the sustainability movement for more than a decade, Davies is uniquely positioned to help you create high-performance workspace solutions that sustain people, profits and planet. 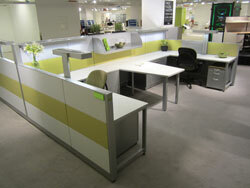 REFRESH YOUR ENVIRONMENT WITH FLAWLESSLY REMANUFACTURED BRANDS. 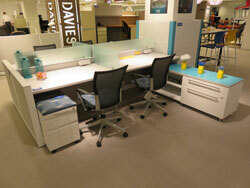 RE-MOTIVATE YOUR PEOPLE WITH WORKSPACES THAT FUNCTION AND INSPIRE. 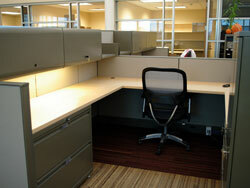 RECALCULATE THE TYPICAL COST OF OFFICE FURNITURE OWNERSHIP.